Variety is the key to this tour. Dublin, London, and Paris are very different cities. They vary in size, speed, and language, but are bound together in their wealth beauty and culture. From Dublin’s quiet charm and pints of Guinness, to London’s grandeur and Paris’ joie de vivre, you’ll be able to explore three vibrant cultures at your own pace on this 10-day, locally hosted tour. Board your international flight for the journey across the Atlantic Ocean (Flights not included). Morning guided sightseeing takes you past St. Patrick's Cathedral, the largest church in Ireland, along elegant Georgian squares, and statue-lined O'Connell Street. Look out for the effigy of Oscar Wilde, reclining on a huge granite stone and seemingly without a care in the world, or Molly Malone, commemorating the young woman featured in the local ballad Cockles and Mussels. Finally, visit the Old Library at Trinity College, and see the famous 1,200-year-old Book of Kells. It is testimony to Dublin's literary tradition, dating back over a thousand years, when monks would transcribe the Bible into beautiful manuscripts. Your Local Host will have some interesting suggestions for your day at leisure. 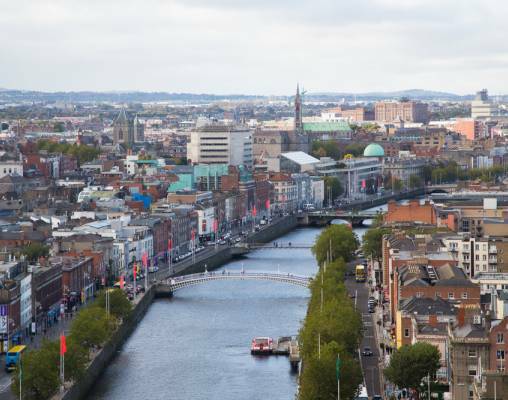 Maybe stroll through Temple Bar, a lively area of Dublin, located on the south bank of the Liffey River and home to many cultural institutions. Morning guided sightseeing and includes all of London's famous landmarks. 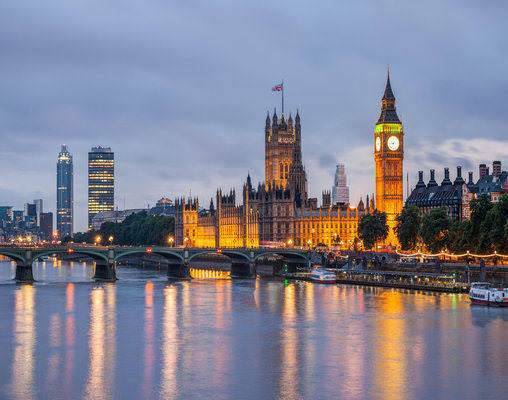 Drive past the Houses of Parliament and Big Ben; Westminster Abbey, where Prince William and Catherine, the Duke and Duchess of Cambridge were married; Whitehall's mounted horseguards; the Prime Minister's Downing Street; and Piccadilly Circus, and Buckingham Palace. Take photographs of the London Eye, the giant Ferris wheel situated on the river bank, and the Shard, the tallest building in Western Europe. Visit St.Paul's Cathedral. Sir Christopher Wren's masterpiece with its world-famous dome is an iconic feature of London's skyline, and the awe-inspiring interior holds fascinating stories about its history. 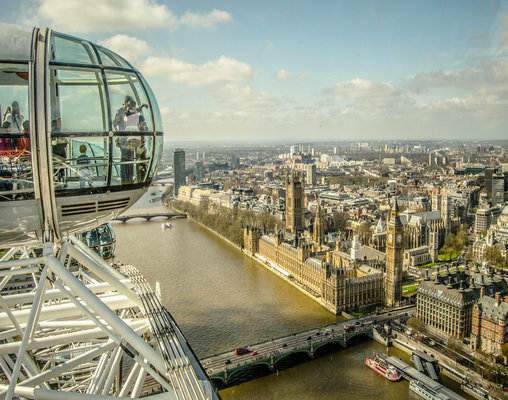 Full day at leisure for you to enjoy the very best of London. Your Local Hosts will have recommendations, like the Victoria and Albert Museum, located in stylish South Kensington, featuring the world's leading collection of art and design around the world. 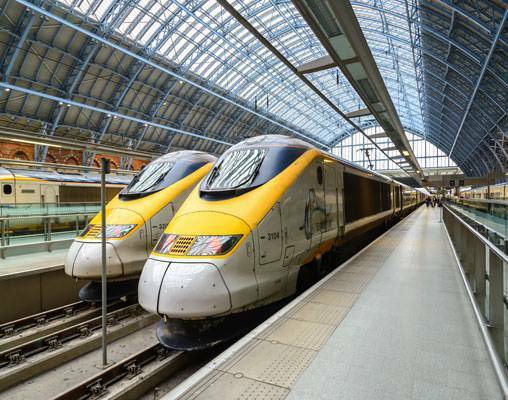 Travel to Paris by High speed Eurostar train (Standard Class). Morning guided sightseeing and orientation takes you to Notre Dame Cathedral, where Napoleon was crowned emperor in 1804, to admire its amazing 13th-century stained-glass Rose Window. Pass the Latin Quarter, Les Invalides, the Opéra, Place de la Concorde, and Arc de Triomphe. 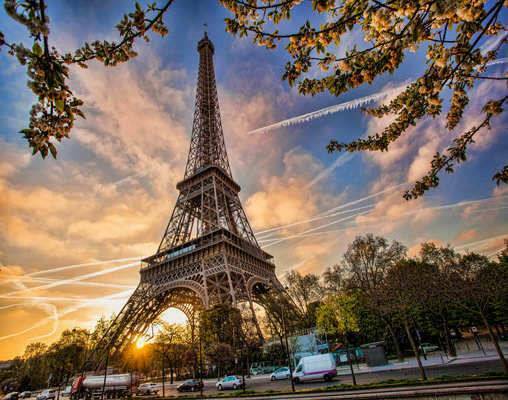 Drive by the Seine River with its beautiful bridges, and stop to take photos of the iconic Eiffel Tower from one of the best panoramic viewing points. Also enter the world's most visited museum, The Louvre, with its modern glass pyramid, to see Da Vinci's Mona Lisa and other treasures. Full day at leisure and lots of things to see and do! 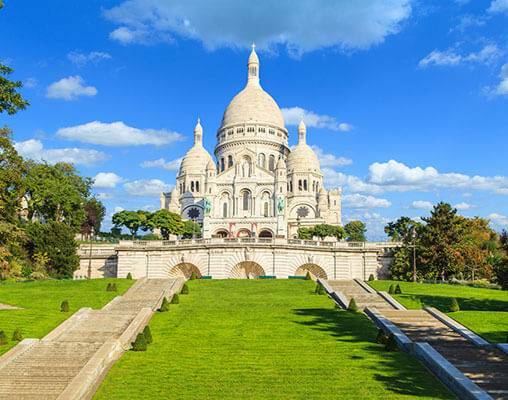 Your Local Host is ready to help you with suggestions that include a visit to the Montmartre district with the beautiful Sacré Coeur Basilica. The Gibson does sleeping, meeting, dining, imbibing, gigging, touring, wedding and relaxing really really well. They mix all these things with a fresh, energetic, slightly off center approach and know it works. Hoover exhibitions, supporting local artists, prohibition events, urban weddings and the odd celebrity are elements of what makes them different to the normal Dublin Hotel. You will find the staff friendly, responsive and happy. 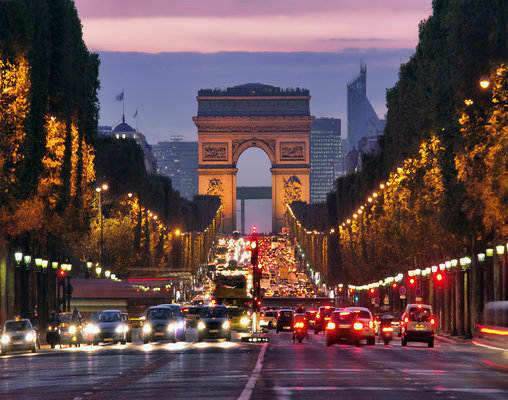 Click here to view testimonials for Dublin, London & Paris. This trip was totally AMAZING!!! It was our first trip to Europe and every possible detail was well thought of by Monograms - Vacations by Rail. The hotels were in perfect locations and having the breakfast buffet available to us was very convenient and allowed us to plan our days to the fullest. We also loved the half day sight-seeing tours which took us to the major attractions in Europe. 24th April 2019 $2,484 Please call for availability. 1st May 2019 $2,571 Please call for availability. Enter your details below if you would like to be notified when 2020 dates and prices are available for Dublin, London & Paris.